Nginx 1.5.3 for Windows (32-bit and 64-bit builds) are now available for free download. As always, packages are built from the upstream development branch. Nginx (pronounced “engine x”) is a high performance web server, caching proxy and a Layer 7 load balancing solution. Millions of web sites on the Internet use and benefit from Nginx because of its extreme performance, scalability, reliability, flexibility, and security.
) Change in internal API: now u->length defaults to -1 if working with backends in unbuffered mode.
) Change: now after receiving an incomplete response from a backend server nginx tries to send an available part of the response to a client, and then closes client connection.
) Bugfix: a segmentation fault might occur in a worker process if the ngx_http_spdy_module was used with the “client_body_in_file_only” directive.
) Bugfix: the “so_keepalive” parameter of the “listen” directive might be handled incorrectly on DragonFlyBSD. Thanks to Sepherosa Ziehau.
) Bugfix: in the ngx_http_xslt_filter_module.
) Bugfix: in the ngx_http_sub_filter_module. These Windows install files are provided to support legacy users who still use the Cygwin based builds. Before nginx.org starting providing native Windows packages, these were the only way to run Nginx on Windows. Now, official native Windows builds are available and supported at nginx.org. Please use those if you are new to Nginx on Windows. Once again, they are fully supported and available for download at nginx.org. 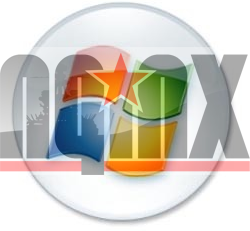 Download Nginx 1.5.3 for Windows (32-bit & 64-bit versions) here. Check out the FAQ: Frequently Asked Questions. The answers may help you. If you have other questions that are not on the FAQ, please feel free to ask, or leave a comment, below. Thank you.